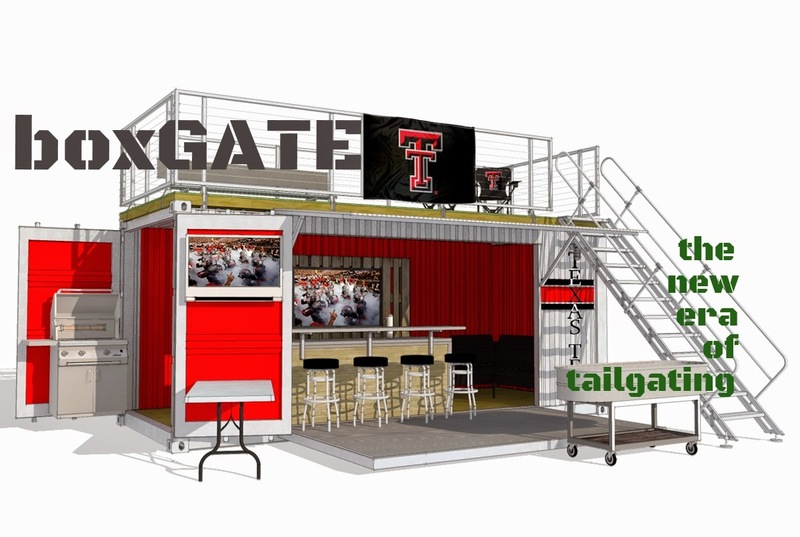 Texas Tech alumni Jane't Howey and Sheryl Estes, have come up with a unique way to utilize old shipping containers for tailgate parties. They turned a standard 8-foot by 20-foot shipping container into a portable bar and grill....with a roofdeck. These have a tap bar, a couch, two flatscreens, and an outdoor grilling zone. The whole setup takes less than 5 minutes. The future of tailgating could very well be, boxGATE.